I have nothing to say except I’m sitting here in my car and these clouds are acting suspiciously. 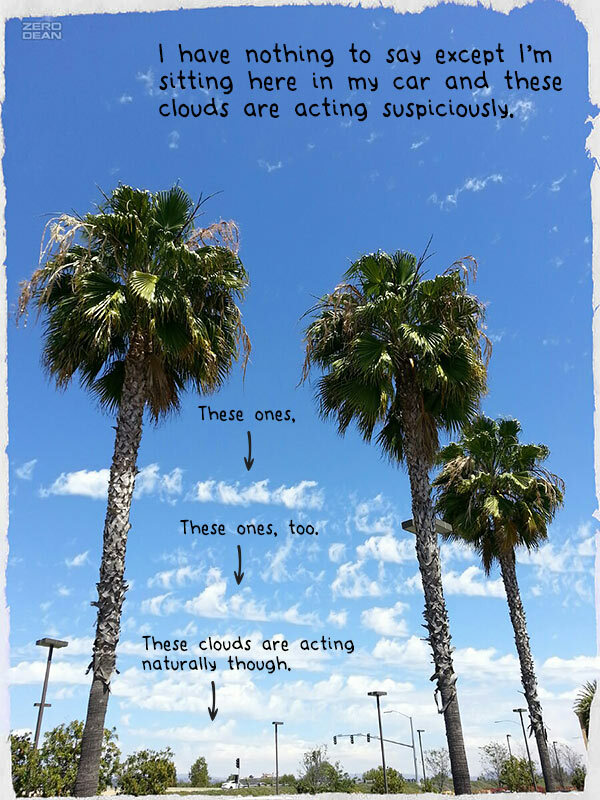 This, in itself, is a bit odd, because before today, I was unaware that clouds were able to be act in a suspicious fashion. And oh boy, are they. It’s your move, clouds. I’ve got my eye on you.